In these situations a router DMZ might be good for troubleshooting. It can also become a good permanent solution. A router DMZ can be dangerous if it is pointing at your computer and your computer is not running a properly configured firewall. Windows 7 and newer have a great firewall built in that actually protect you very well from potentially dangerous incoming connections. Earlier versions of Windows do not. Do not use DMZ on a computer running Windows 98, that would be a bad idea. A router DMZ is no more dangerous than a port forward when used for a device such as a webcam, a DVR, an Xbox, or a Playstation. These devices are designed to be connected to the Internet and have great security setup, they are very difficult to break in to. As long as you use a strong password on your DVR or webcam then there is no actual risk in pointing a DMZ at them. There is absolutely no risk in pointing a router DMZ at at an Xbox or Playstation as these devices are extremely secure. This is a basic guide that shows you how to set up a DMZ for your network. First you need to find the Internal IP Address of the device you want your router to point the DMZ at. If you are using Windows, you can use our Router Detector Software. If you want to point the DMZ at game console, then you need to find the internal IP Address through the game console's menu. To get started configuring your Router DMZ you need to login to the router. You can find your router's login guide from the Home page of our site. Once you have logged in you begin on your home page. From here find the DMZ section of your router. This can be found by clicking Firewall,Advanced, or possibly Applications and Gaming. Then see if you can locate the DMZ setting. This directs you to a page that looks similar to the image above. Make sure the DMZ is turned on. For this router, click the Enable radio button. Then, next to DMZ Host IP Address, enter the internal IP Address you found in step one. That's it, just save your changes before you exit. When you create a DMZ and still don't receive incoming connections, check your router's firewall to see if it is blocking the connection attempts. 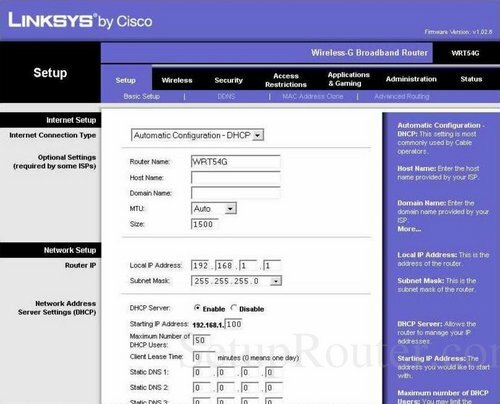 If you can't login to your router, you may want to follow our How to Reset Your Router Guide.